I love garden accessories that can be playful and bring out the big kid in all of us, especially as I get asked to design a lot of gardens with children in mind. This ticks all the boxes for me. 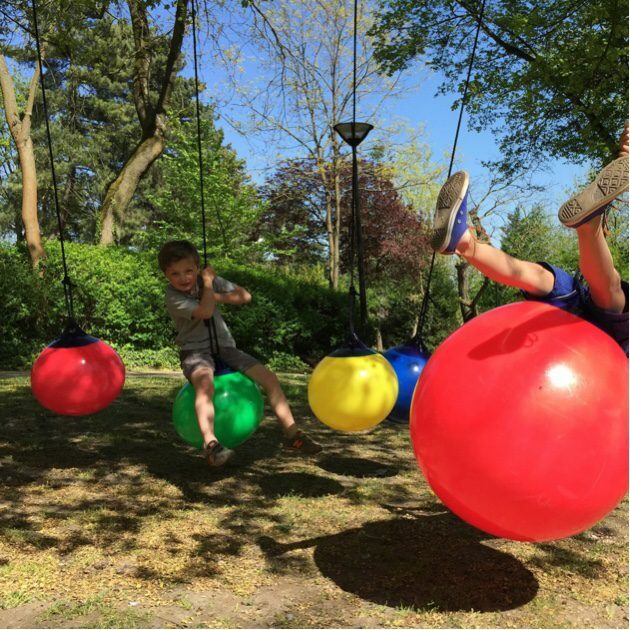 A playful swing called the Balancoire Balloon that is suitable for children and grown-ups. What fun to have this hanging from a tree in the garden, or even from a pergola made to take the weight of a child or adult. Available in red, yellow, green, blue and white it offers up a chance for a real pop of colour. A recent study showed that playing on swings is great for children and adults. And where space is tight, this could provide the perfect solution. Billed as a swing for indoor and outdoor play, for adults and children, this is sure to be a big crowd pleaser for all the family. I just think that anybody visited the garden with one of these would want to have go. Suspend from a tree or a pergola with a fair bit of space for swinging and you’re good to go.